India is a land steeped in culture and the Golden Triangle manifests it at the best. The cultural fiesta is evident all through the major destinations – Delhi, Agra and Jaipur – that you traverse while on this travel circuit. Not surprisingly, the Golden Triangle receives a heavy footfall of domestic and offshore travellers all year around. If you are getting itchy feet already, read on, as we discuss what cultural treats are awaiting you in the Golden Triangle. 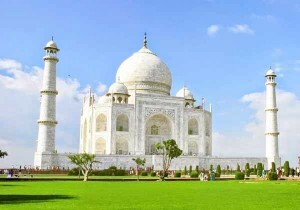 Delhi is the obvious starting point for a 4-day golden triangle tour for its status as the transportation hub of India. Herein, you experience a unique culture deeply rooted in tradition and modernity. The metropolis impresses you with several architectural marvels with cultural and historical significance, such as Qutub Minar, Red Fort and Delhi Gate, in addition to Parliament House, Rashtrapati Bhawan, Jantar Mantar and Humayun’s Tomb. Additionally, Delhi is home to numerous sites with religious legacy, including Jama Masjid, Nizamuddin Dargah, Lotus Temple, Gurudwara Bangla Sahib and Akshardham Temple. Cuisines that have delighted eaters across ages are also there for the taking. Even if you prefer excursions to sightseeing, Delhi can exceed your expectations. 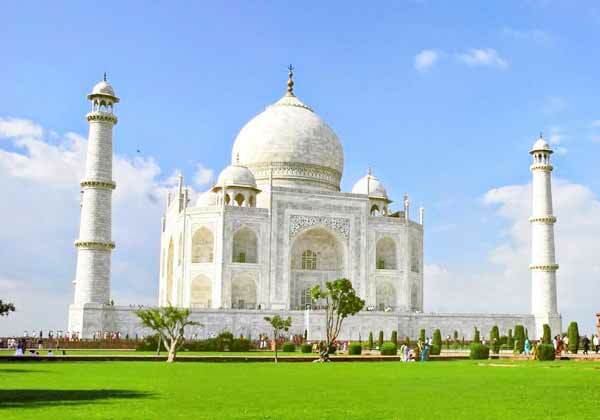 Witnessing Agra’s rich cultural diversity is always a possibility in the Golden Triangle tour of 3 nights 4 days. At just a 4-hour drive from the national capital, Agra treats you with the Taj Mahal, a medieval structure known for its intricate design and marble constitution. As a holidaymaker, you can also access impressive structures that manifest India’s cultural diversity and architectural prowess of the bygone era. Agra Fort, Mehtab Bagh, Itimad-ud-Daulah, Khas Mahal, Jahangir’s Palace, Akbar’s Mausoleum and Chini-ka-Rauza are few such sights of interest for tourists. Jaipur, The Pink City, is the heartbeat of Rajasthan and ultimate stopover in the Golden Triangle Tour. The city, known for opulence and penchant for pink colour, flabbergasts you with a range of forts and Havelis displaying Rajasthan’s immersive cultural heritage. Amber Fort, Jaigarh Fort and Nahargarh Fort should be on your bucket list when travelling to Jaipur. The cultural fiesta that Jaipur exudes also includes architectural sites, such as Hawa Mahal and Jantar Mantar, in addition to an array of Hindu and Jain temples and mosques. What is the best Ayurveda resort in Kerala? Copyright © 2019 Travelite (India) Blog.